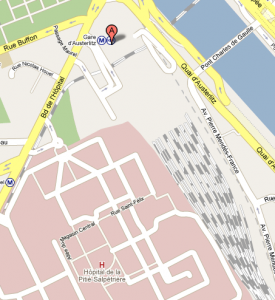 This is a photo guide of Gare d’Austerlitz train station in Paris. It is an intersection point for the Metro line 5 and terminus station for Metro line 10. 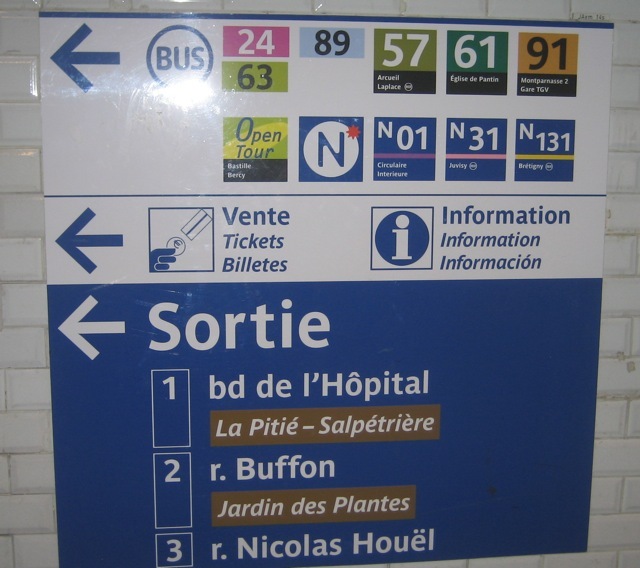 The RER C line is also serviced by this station and is located on niveau -1 (ie. level -1). 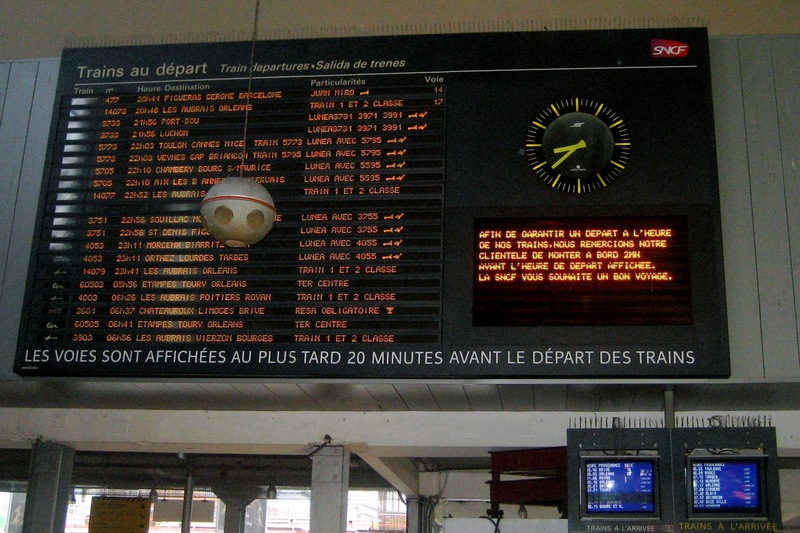 At Gare d’Austerlitz you’ll find both the suburban and grand line trains including Elipsos, Corail Lunéa, Aqualys, TER centre and Téoz. The station is in operation everyday from 5:30 to 0:00 (ie. midnight) except bank holidays. 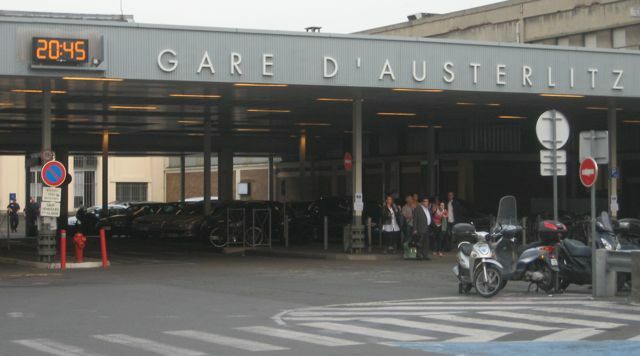 At Gare d’Austerlitz you’ll find an info kiosk, automated luggage storage and other amenities including three food outlets and a money exchange booth. Washrooms are available at 0,50€. Outside the station you’ll find a velib station (ie. 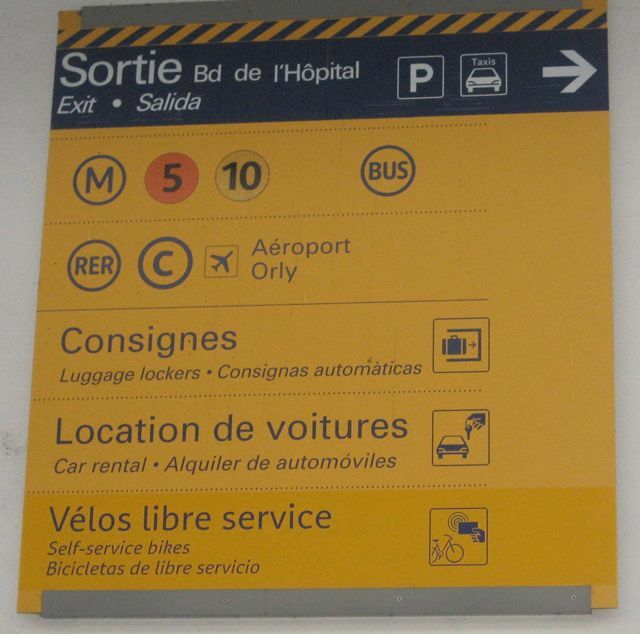 self service bike rental), access to buses, car rentals, taxis and Boulevard de l’Hôpital. 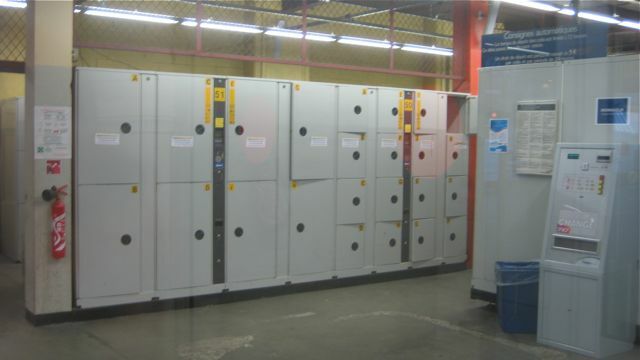 The automated luggage storage has different size compartments that can be rented for up to 72 hours. Please refer to the Paris Train Station & Airport Luggage Storage article for more information.